7/12/2018: Check out Niclas Frisk’s Instagram! Niclas Frisk's Instagram @friskarraldo- also check #atomicswing too! 10/5/2018: Niclas Frisk’s Atomic Wings! as "Niclas Frisk's Atomic Wings"!!! Jag hoppas att det kommer bli en underbar scen från Tokyo långt därifrån. "Vet ej men 2018 inser jag att energin i grundämnet Atomic verkar lysa i mörkret fortfarande trots att bandmedlemmar/labbmedarbetare har spridits för vinden under årens lopp. " - yes, the golden soil is still there, Niclas. 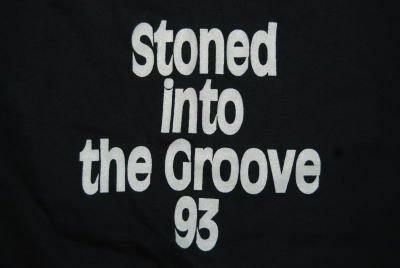 19 years since this fan site opened. Thanks to all!! 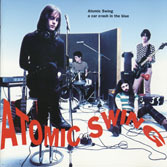 Atomic Swing is the best band for me as ever. 17 years since this fan site opened. Thanks to all!! 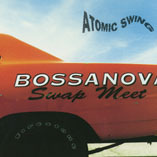 Vinyl released on 16th Apr 2016, A Car Crash in the Blue / Bossanova Swap Meet!! There was the release party at Debaser Medis, Stockholm. Sooo Great!!! Check out on Instagram#atomicswing too. 16 years since this fan site opened. Thanks to all!!! 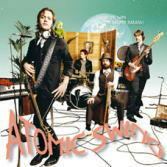 Atomic Swing is the best band forever. 15 years since this fan site opened. Thanks to all!!! 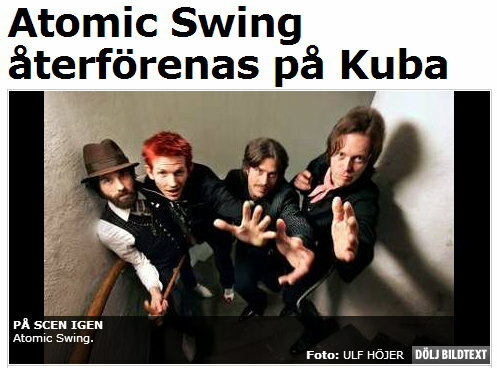 Atomic Swing will also play at Kackelstugan on 28th July. And here's Luna Green's new album "SWEDISH STRAWBERRIES", with Niclas Frisk. Atomic Swing will play at Love & Peace Havana 2014, in Cuba!! Atomic Swing reunite again, will play together again at last. They will play on the 8th march 2014. Updated Niclas' bio page. 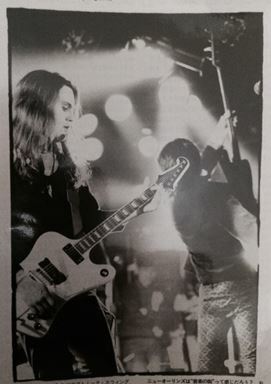 Photo of Heavy Thunder, when he was 14 years old!! 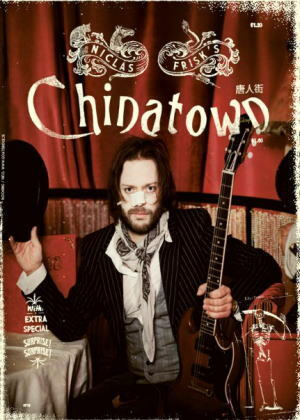 Check out more info : Niclas Frisk's Chinatown on Facebook. New song! 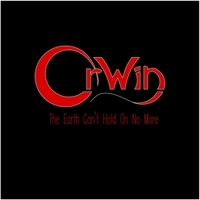 ; "The Earth Can't Hold On No More" by Orwin. "OrWin" is the new project by Petter Orwin. Available on iTunes and CD Baby. Petter is also in the middle of recording a lot of new songs (against who are destroying our world just because they are greedy) so there's an album coming up in a while. 14/2/2013: Happy Birthday to Niclas and Micke! Happy Birthday to Niclas and Micke! Check out Niclas Frisk's Chinatown on Facebook. Niclas Frisk will play at Folk å Rock in Malmö, on 18th April 2011. Me and my family are following all the news via CNN and other media regarding the big earthquake and the tsunami that hit your country. We feel really sorry and we are praying that things can work out as well as possible. I really hope that Japanese workers manage to cool down the power plants as soon as possible. 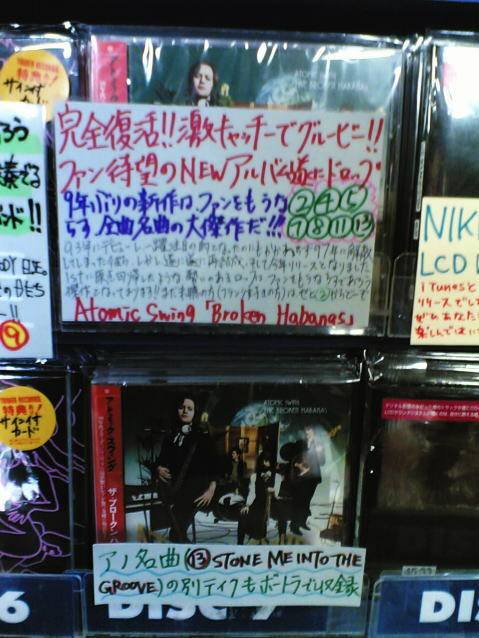 I still remember the feeling I had when we played in Japan with Atomic Swing right after the Kobe earthquake. Some fans that had bought tickets didn't show up at the gig. Maybe some of them were lost in the earthquake (very strange feelings at that time..). But the thing I remember most is how the Japanese audience really lived out their lives and had a good time despite all sad things that had happened. I'm very impressed of Japan and the Japanese spirit! Good luck to you from the whole of my heart! Petter gave to me a music file via internet. I put the file here. 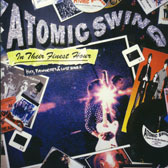 It's not Atomic Swing, by Petter Orwin and Stefan Westberg. Petter is the one who originally wrote text and music, arranged, played all instruments including the bass and singed by Stefan Westberg who Petter plays together sometimes. Thank you, Petter!!! We won't give up our hopes. 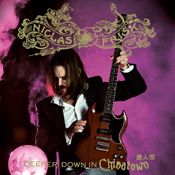 Niclas Frisk's solo album "Deeper down in Chinatown" will be released from EMI on 13th April. You can order at bengans.se! 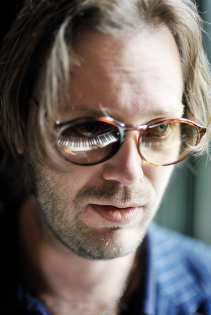 Niclas Frisk will release the solo album "Deeper down in Chinatown" in early 2011. Some tunes from the album will be used on SVT drama "Våra Vänners Liv"（Our friends life） . Niclas Frisk's Chinatown will play in 2 capitals. Some articles about Niclas Frisk's Chinatown. 14/10/2009: One more about "Niclas Frisk's Chinatown"
16/9/2009: More about "Niclas Frisk's Chinatown"
"Niclas Frisk's Chinatown" will also play at Skottvångs Grufva, on 29th October 2009. 28/8/2009: "Niclas Frisk's Chinatown" and "Swedish Idol 2009"
Niclas will play under the name "Niclas Frisk's Chinatown" for Goatbridge productions' 10th anniversary night (congratulations to Fredrik!) - Fri 30th October 2009, Kyrkogatan 9 (Tea & Tages), Smedjebacken. It is his new project, seems solo. 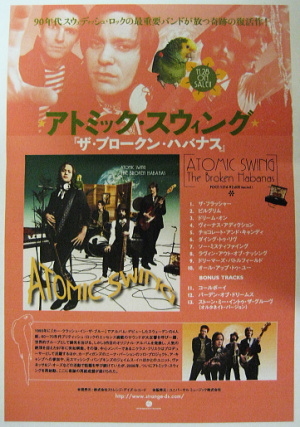 One more, Atomic Swing's "Dream On"(from the album "The Broken Habanas"2006) is on trailer of Swedish Idol 2009. Check out the video at TV4, and youtube! Johan Palm, who was debut from the program, is singing "Teenage Battlefield". 1/7/2009: "The Flasher" compeleted version video, and new board! And there is a cool story. Here is the perfect version of "The Flasher" video!! Atomic Swing: The flasher (updated) 2 from Lekrans on Vimeo. This video was remixed by the movie director, Michael Lekrans. He wrote to me that he had just put a new breath to the video, and made it perfect. Anyway watch it!! You can watch it by full screen as well:) It's really wonderful..! You can see his other works too, from here. Really thanks Mike!!! One more, these photos are from Niklas.Nilsson - have you got it too?? 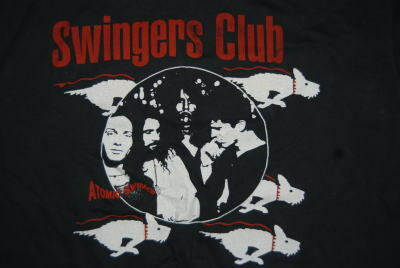 Yes, this is from their fan club - Swingers Club, 1993. Thanks Niklas!!! About A CAMP, please check at 3N. My UK reports items are here. 14/4/2009: "Smile" new version on Billys pizza commercial! Another version of "Smile" is on the new pizza commercial in Sweden!! "Smile" became pizza commercial song in Sweden! 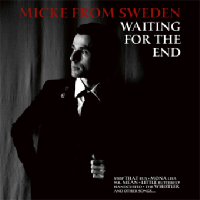 Micke from Sweden will release the 2nd album "Waiting for the End" in Sweden on 25th March. There will be the release party at Södra Bar & Kök, on the 25th March 22.00 with special guest Janove Ottesen (The Jackal) amongst others! Long time no update, sorry. Just I've been busy. Have you listened "Colonia"? Have you got A Camp tour ticket? Other Atomic News, I'll put this fan site as ever. Nevermind. 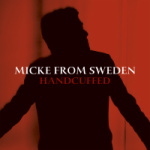 Micke from Sweden will release "Handcuffed" on 10th March. Click "Se resultat" - YES, obviously Atomic Swing is the TOP!!!! 25/12/2008: Atomic Swing 1997 on Youtube! Very thanks to the uploader!!! God Jul och Gott Nytt År, Merry Xmas and A Happy New Year to all Swingers!! 19/12/2008: Free Holiday Download from ACAMP!! A CAMP will play at Swedish Grammy Award on 7th Jan 2009 before the release of "Colonia"(from hd.se). It will be on TV as well. Tickets are here. 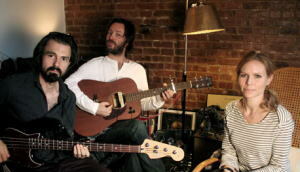 Check more info on the Myspace blog!! Including songs from Colonia, and "Chinatown" live with Niclas & Nathan! 16/12/2008: A CAMP Xmas video, and Facebook!! A great Xmas video from A CAMP:) Niclas is playing piano. Also added new pictures on their Myspace!! 3/12/2008: A CAMP TOUR, and Video!! And there are the articles : Aftonbladet / Sveriges Radio. 20/11/2008: A CAMP played in Stockholm! You can listen A CAMP new single "Stronger Than Jesus"!! A Camp will play in Denmark. VEGA, Copenhagen - Tuesday 31 March 2009!!! 23/10/2008: A CAMP / Colonia & Stronger Than Jesus! 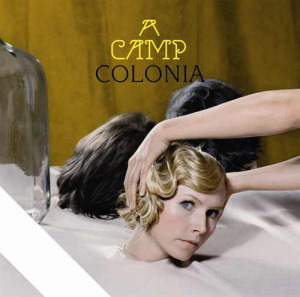 A Camp will release the new album "COLONIA" on 28th Jan 2009. The first single "Stronger than Jesus" will be released on 17th Nov 2008!! There are new 4 files on youtube! I put the links on Media page. Thanks for the uploader. GJ!! You can also watch a short video of Racing Niclas with Perssons Pack. Put additional bio at Member, Niclas and Petter. Check out! The informations are from "Metal Guru" the wire puller of their background from Mora!! ;-) Thanks a lot!! Atomic Swing Japanese Wikipedia has been written! And there are cool 3 pictures on www.festivalphoto.net from "EN AFTON med DUSTY SPRINGFIELD" 28th Dec 2007. 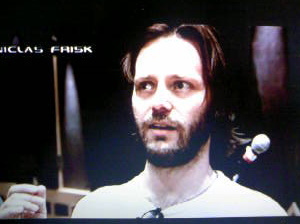 Seach for "Niklas Frisk" at seach box of the website. A Camp "COLONIA" release date seems early next year, James Iha is together as well. See Wikipedia. The 2nd album title will be "COLONIA". And Micke from Sweden will release the 2nd album on 26th Sep. The title is "Waiting for the end". From Nordic Notes in Germany/Austria/Switzerland and Netherlands. You can order the cd at at www.nordicnotes-shop.de. Micke also plans German/Austrian/Swizerland tour in end of October. - Artisten och låtskrivaren Niclas Frisk kopplar av i sin stuga i Gnesta. You can watch Perssons Pack live video at Railway Saloon's homepage. And Jöback's live with Niclas was on TV, Peter Jöback live på Oscars(SVT). On 16th May, Niclas played with Perssons Pack at Railway Saloon in Sundsvall. You can see a few pictures at here. 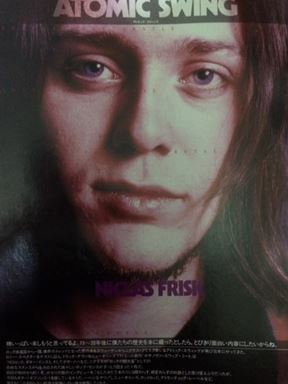 And here is an interview of Per Persson (the singer of Perssons Pack), written about Niclas. At the moment Niclas has been back to Sweden, but it seems not so long, he still works at New York for a while. And Little Marbles has released the single from National. Niclas discovered the cute girls' duo in 2007. New picture from Niclas Frisk in New York. What will happen next? Happy New Year to everyone! Check out www.nebrelius.se, 180. It 's the homepage of Jonas Nebrelius, who has done Atomic Swing cd's artworks! Click here to see his works for Atomic. He is one of their big fan as well!! As 25th Dec, Niclas Frisk played with Perssons Pack on 26th Dec as well. You can watch the movies on youtube, here and here. And he sang a song as solo at "EN AFTON med DUSTY SPRINGFIELD"! The song was "Just a Little Lovin'", you can watch the video here. Also you can see the finale of the show's allstars at here. Niclas Frisk will move to NY for a while. For the work with A Camp and others. Wishing you a merry Christmas and a happy New Year to all Swingers. 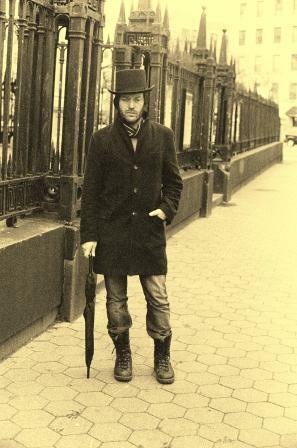 Check out The phantom : Petter Orwin's Myspace! Kolla in!! 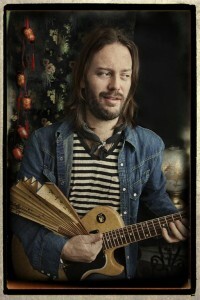 Niclas Frisk will play with Nina Persson (from The Cardigans) and Titiyo on 28th Dec, at Debaser, Malmö. It seems to be a trio just for one night. (But it's the trio of "Lovin' Out Of Nothing", isn't it?) It's called ”En kväll med Dusty”(One night with Dusty). He will also play with Perssons Pack at RENEN (Folkets Hus), Bollnäs 25 Dec 2007. Micke Lohse announced that he will release his 2nd solo album in Spring, March or April 2008. Vote! Vote!! Enjoy the voting systems. Also "From Japan To ATOMIC" is here as ever. 2/12/2007: The Broken Habanas in stores!!! at Tower Records Ikebukuro, Tokyo - photo from my friend, Kumiko - THANKS!!! 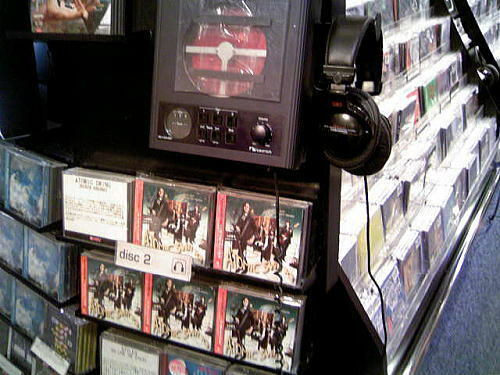 28/11/2007: Finally The Broken Habanas in stores in Japan!!!
! 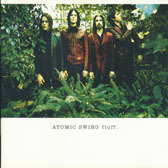 !Check out Strange Days Records - Atomic Swing page!! 26/11/2007: The Broken Habanas Japanese version will be released at last!!! "A miraculous revival album from the most important band of 90's Swedish rock!" It's about 1 year and a half since the release in Sweden, finally "The Broken Habanas" Japanese version will be released from Japanese label, Strange days records on 28th November 2007. Finally I've done the renewal work!! Do you like the new site? Do you like this domain? Hope you like it. Please tell me if you found some problems in this site. I'll put update news on this page. I have made a Vote Room. There are 6 polls now. Please vote and enjoy!! Thanks for everybody who visit and like this site. Tack, Tak, Takk, Kiitos, Danke, Merci, Arigato!! !